The goal of this article is tell you all about goals. Goals are where the rubber meets the road. Goals create high performance organizations. Goals create accountability. 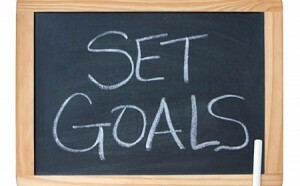 Goals have clear measurable results with a target date. A side note; much of the philosophy of this article is taken from the Keyne Method which was created by recovering strategic planning consultants Wayne and Kelly Nelson. They are also the developers of KeyneLink; a cutting edge execution management system that is used by many companies globally. The Keyne Method categorizes goals into four types: individual, departmental, developmental and team. Let’s look at each of these in more detail. May be related to leadership skills, technical skills, specific job-related skills, or the like. Examples: graduating with an MBA by 2013, completing a course/seminar by 2013, attending a conference, etc. Developmental goals are really positive; knowledgeable employees are more valuable to the company and better suited to drive the corporate initiatives forward. All of our clients mandate that every employee including the CEO have at least one developmental goal every year. My company also does this. Side note, developmental goals are not “I am going to be my best,” “I will have a positive attitude,” or “I will smile more.” Nor is this the section where you say I will live the corporate values. Can have members across departments, divisions, and/or levels of an organization. Consist of team sponsors, team leads and team members. We encourage our clients to set goals in partnership with their manager. Employees that set goals with their managers really create alignment. It allows employees to define what they are actually committing to and allows managers to understand and agree to those commitments. I love this aspect; it is very powerful and positive. As I said at the previously, all goals have clear measurable results with a target date. Target dates ensure achievement of goals. Can you imagine a goal that said Company X will attain $250 Million Net Profit by whenever? Can you imagine the power of this? NOT! Compare that to saying Company X will attain $250 Million Net Profit within six months. Now that creates a game to play and a completely different outcome. Another aspect of this goal setting process encompasses flexibility. We all know that we live in tumultuous business times and things change on an hourly, daily and weekly basis. If circumstances change and you accomplish your goal early… no problem your manager will score your goal and then you will set new ones. The flexibility of staying on top of your goals and keeping them always up to date through software is quite appealing and powerful. Goals can move the company forward into new territory. How? The Keyne Method suggests creating goals linked to the corporate initiatives; this process ensures implementation and support of the initiatives. Linking goals to the corporate initiatives requires employees and departments to define the piece of the initiatives they take personal accountability for. God I do love saying that… linking to the corporate initiatives. The linking part gets to me because it is all so emotional. Before I leave goals and move on a word of caution. Goals can confront people. For some employees and even managers having and setting goals is a fearful and risky exercise. Recently with my water treatment and chemical company client, I watched many key employees struggle with the concept of goals. They did not understand goals. When asked to define goals, they would name activities fought defining clear measurable results for fear of being held accountable. If you confront this issue, have compassion and stick with this process. Over time the stragglers will start to understand and design better goals. Hang in there this goal setting process is powerful, useful and will also support you in having a productive and performance oriented organization. It is also very Keyne. Since growing up in his family’s boating business to founding his company CMI, Bruce Hodes has dedicated himself to helping companies grow by developing executive leadership teams, business leaders and executives into powerful performers. Bruce’s adaptable Breakthrough Strategic Business Planning methodology has been specifically designed for small-to-mid-sized companies and is especially valuable for family company challenges. In February of 2012 Bruce published his first book “Front Line Heroes“.